The Cleveland State Community College Forestry, Wildlife, and Fisheries program is a transfer program that allows students to capitalize on the TN Promise while gaining real world experience. This program gives students the opportunity to work with professionals from several state, federal, and private entities during their first two years of college. During their time in this program students will be able to explore the variety of jobs associated with the Forestry, Wildlife, and Fisheries field. Cleveland State also has a student chapter of The Wildlife Society. We are the only two-year school in Tennessee with a student chapter. Membership in this student chapter allows students to meet with and compete against senior institutions. It also allows students to meet with and discuss their future with advisors from senior institutions. 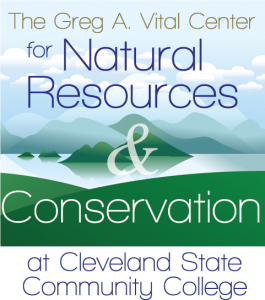 As a Cleveland State student majoring in Forestry, Wildlife, and Fisheries you will be introduced to the field beginning your first semester. You will be introduced to professionals in the field and will have the opportunity to begin working in your chosen profession within your first year. Our goal is to introduce students to the various aspects of and opportunities in this major from day one. Students graduating from CSCC in Forestry, Wildlife, and Fisheries have been very successful. We have very close relationships with the senior institutions in the area as well as with employers in the area and they know CSCC as a place to find quality graduates for their programs, businesses, or agencies.